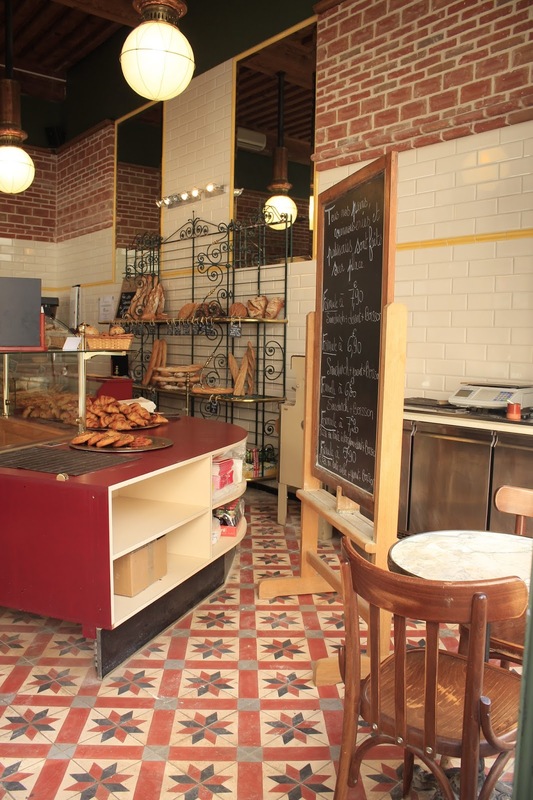 Responding to Susanne‘s comment on finding THE bakery in a city, I realised I haven’t found THE bakery in Lyon. Despite or because there is literally a bakery on every corner. We are in France after all. 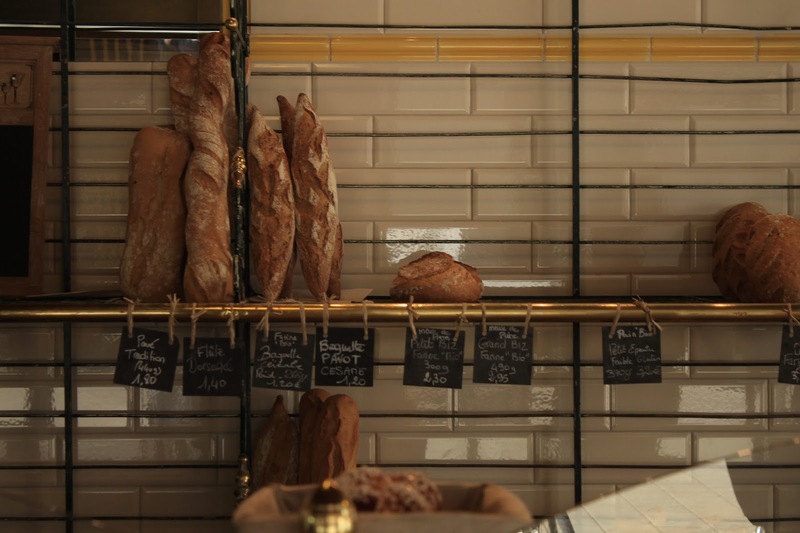 We all know the clichés about French people and bread: Men with moustaches, wearing a striped T-shirt and a beret carrying a baguette under their arm. Now, they don’t really wear those striped T-shirts but when I take the metro home in the evening, I swear every other person has one (or two or three) baguettes sticking out of their bags. 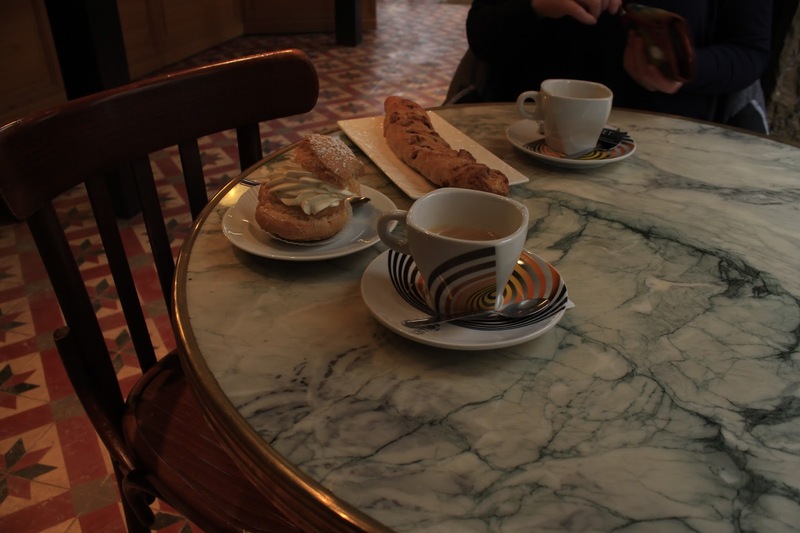 And then there are the viennoiseries and patisseries. Also to be found in heaps everywhere, but less obviously consumed. In fact, I hardly every see French people buying croissants and even more rarely a tarte au citron or a macaron and the like. Who’s buying them? Who’s eating them? Well, me, for one, though I am trying to restrain myself. Another observation I’ve made is that there are quite a few seasonal pastries. There’s the Galette des Rois around Epiphany and at the moment they have two types of pastries (I am deperately trying to remember the name): one is sort of a donut in a diamond shape, the other thin squares of sugary crispy flaky dough… So good! 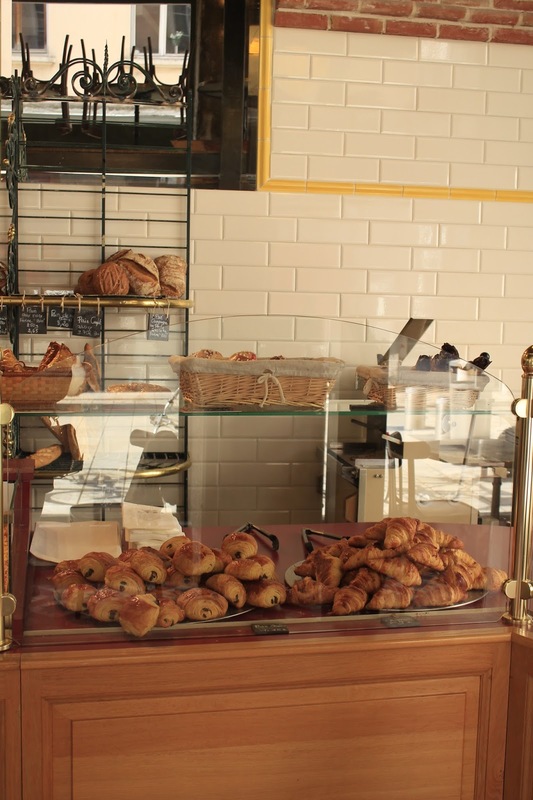 When my friend Mia was in town we found two very good (organic) bakeries that are definitely to be recommended. – We tried the aforementioned seasonal pastries, but they also had some great looking sourdough bread there which I will definitely test in the near future. – Solid croissants and brioches; Mia loved the ficelle de roquefort et noix and I treated myself to a cream puff 🙂 They also had the pistachio snails they have at Le pain et les idées in Paris!